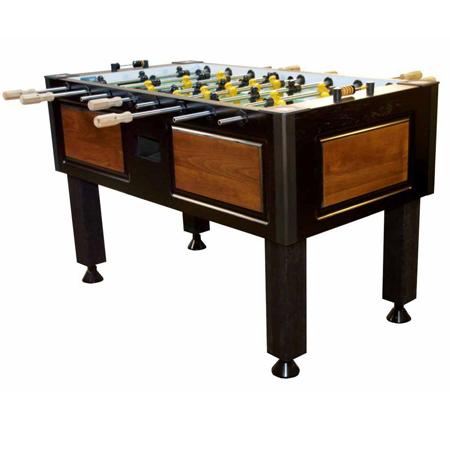 Worthington Tornado Foosball Table | Fun! Tornado’s Worthington showcases the classic and attractive finish of Champion’s Worthington Shuffleboard, coupled with the playability of Tornado’s Elite. Featuring a furniture-grade wood finish, dual ball returns, heavy gauge rods, and Tornado’s patented split bearings for easy maintenance and professional play quality.